The ‘City of Nawabs’ Lucknow, also known as the ‘Golden City of the East' is a city of high historical and cultural importance. It is best known for its polite manners, beautiful gardens, and music, poetry and fine cuisines. With a recent economic boom in the city, it has been ranked among the ten fastest growing tier-II cities of India. Enriched with architectural heritage, Lucknow is fast evolving as a real estate destination. Excella Group has launched its first project Excella Kutumb in Sultanpur Road. Offering luxurious apartments this township has become a hot Sultanpur Road Lucknow Property. The growth in its industrial activities has further led to an increase in real estate sector, which has changed the demographic boundaries of the city largely. The project developed by Excella Group offers Luxury apartments in Lucknow within an affordable price range for the common man. The project is spread over 6 acres of land and it has 750 units with 2 BHK and 3 BHK apartments. The apartments are beautifully designed with various modern amenities. It provides modern modular kitchens with RO system and seasoned hardwood frame doors and polished decorative shutters on the main door. Embedded with all the modern and required amenities, the apartments are designed to offer maximum space utilization and provide ample sunlight. The unparalleled demand for housing has proved to intensify for Lucknow and evolved it into an upcoming metropolitan city. The demand for apartments is raised by students and professionals from all over the country who migrate to the city. The demand for quality housing has also raised by the NRI investments. This demand has further increased the requirement for New Property In Lucknow and one such property is the Excella Kutumb. This township offers excellent buildings with lavish and comfortable flats fitted with all the modern amenities that a home buyer desires to have in their home. The complex comes with a cycle track, education center, yoga center, 24-hour power and water back-up, intercom facilities, clubhouse, gym kid’s play area, multipurpose hall, theatre etc. For people with young children or for young couples, this community is perfect because it has CCTV surveillance and multi-level security ensuring the safety of your loved ones. Property in Sultanpur Road Lucknow is in high demand because of the location advantages it provides. The presence of 100 dials and 1090 headquarter, Sultanpur is a High-Security Zone area. The properties located in this area are in high demand and Excella Kutumb is one such housing complex. 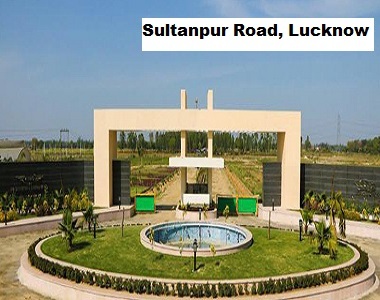 If you are a nature lover and like green living then Sultanpur would be your perfect location to buy a house because lush green landscapes and water bodies providing a soothing and calm environment for living surround it. Buying an apartment here, you can enjoy the scenic beauty of the location. The new Property in Sultanpur Road, Lucknow offers luxurious flats within an affordable price range. Here, you can avail 2 BHK and 3 BHK flats available from 900 sq. ft to 1050 sq. ft. The price for the 2 BHK apartment’s starts at Rs 27.25 lakhs and goes up to Rs 32.80 lakhs for 3 BHK flat.